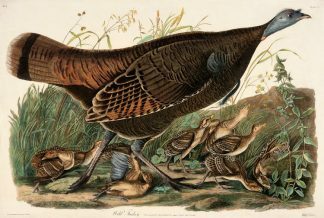 This is a very famous Audubon image. 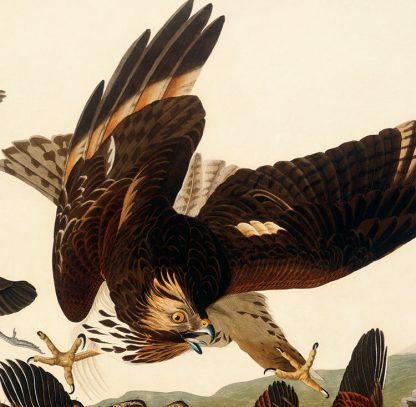 It depicts a large, Red tailed Hawk descending onto a covey of Northern Bobwhites. 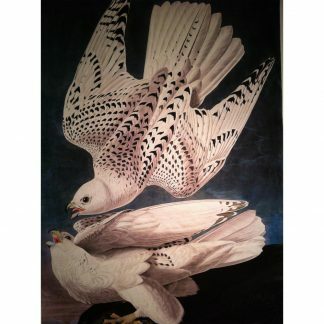 Conveying a sense of the “hunt”, this image is a true favorite of game hunters and outdoorsmen. The Red tailed Hawk can be seen throughout the United States. 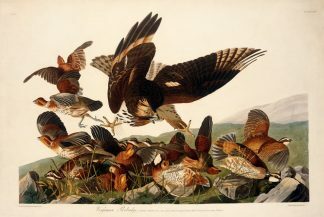 The Northern Bobwhite can be found in the eastern half of North America.